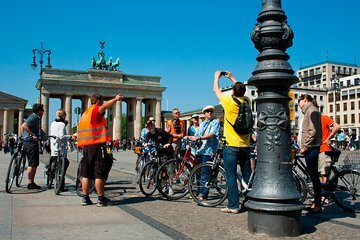 Pedal your way around the vibrant neighborhoods and historic monuments of Berlin on this 3.5-hour bike tour, led by a German-speaking guide. Glide along the banks of the Spree River, past the grand buildings of Museum Island, see iconic landmarks like the Brandenburg Gate and Potsdamer Platz, then learn more about Berlin’s tumultuous history as you explore the remains of the Berlin Wall. This small-group tour ensures a personalized experience and is suitable for all ages and abilities.